Vintage pics & video clips of disco & new wave rock superstar singer & songwriter Debbie Harry & Blondie: Heart of Glass, One Way or Another, Call Me, The Tide is High, Rapture, Maria, Fun. Below, Debbie Harry with her 1970s band, Blondie - Gary Valentine, Clem Burke, Chris Stein, and Jimmy Destri. Baby boomers will remember Debbie Harry (nee Angela Tremble) and Heart of Glass as being at the tail-end of the 70's disco era. 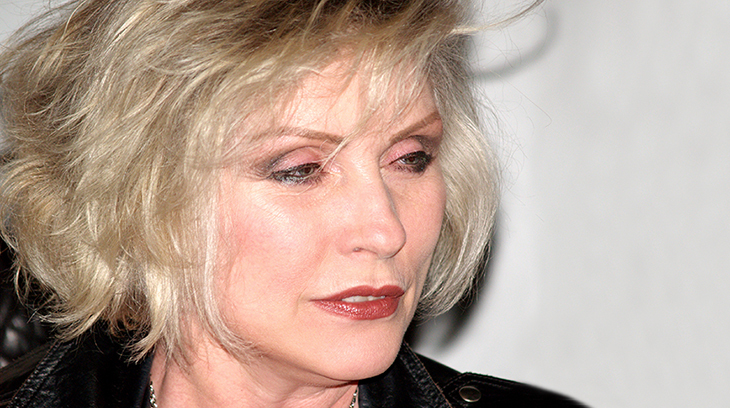 Now a septuagenarian senior citizen, Blondie lead singer and baby boomer baby Deborah Harry was born July 1, 1945. Heart of Glass (1979) was the first #1 hit (in the US and the UK) for Debbie Harry and Blondie. Written by Debbie Harry and Blondie guitarist Chris Stein, Harry's haunting vocals and the dance-beat music of Heart of Glass have made it a staple of top '80's baby boomers songs. For the next two years, Blondie rode high on the success of Heart of Glass with a string of top 40 hits and some standout #1 chart toppers from 1979-1981. The catchy One Way or Another (1979) was a relatively minor 24 hit in the US (#24 on the charts), but the music video got a lot of airplay for baby boomer audiences. One Way or Another was written by Debbie Harry & Blondie bass guitarist Nigel Harrison. Blondie's Call Me (1980) was written by Debbie Harry and composer Giorgio Moroder as the theme song for the movie American Gigolo (1980). Helped by American Gigolo's success at the box office, Call Me resonated with rock and dance music fans across the world, reaching #1 in the US, Canada, and the UK. Blondie followed up Call Me with another #1 hit single, The Tide is High (1980). Unlike the other Blondie hits, Debbie Harry doesn't have a songwriting credit on the reggae-tinged The Tide is High, which was written by John Holt. Debbie Harry & Blondie perform The Tide is High, below. After Rapture's peak, Blondie's single release slowly slid down the charts during the rest of the 1980's most of the 1990s. Debbie Harry's behind-the-scenes relationship with Blondie guitarist Chris Stein had also petered out by 1989. She continued to perform and record with Blondie, and as a solo artist. Her solo singles failed to ignite any big chart hits in the US, with the exception of In Love With Love (1987), a #1 Dance chart hit. The mystery-comedy Forever, Lulu (1987) - co-starring with Hanna Schygulla, Alec Baldwin, and Paul Gleason. Satisfaction (1988), a musical romantic comedy - starring Justine Bateman, Liam Neeson, Julia Roberts, Trini Alvarado, and Scott Coffey. She played Velma Von Tussle in the John Waters musical Hairspray (1988) - co-starring with Sonny Bono, Divine, Ricki Lake, Jerry Stiller, Ric Ocasek, and Pia Zadora. She had a recurring role as Diana Price on the TV series Wiseguy in 1989 - starring Ken Wahl, Jonathan Banks, Jim Byrnes, William Russ, Ray Sharkey, Patti D'Arbanville, Steven Bauer, and Joan Severance. At the end of the millenium, Blondie was resurrected on the dance charts with the #9 US dance hit Maria (1999). Blondie keyboardist Jimmy Destrie has the songwriting credit for Maria, which made it to #1 on the UK song charts. Debbie Harry & Blondie perform Maria, below. 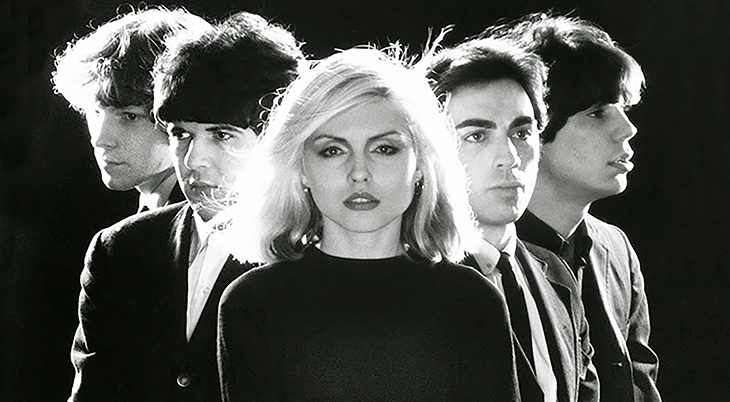 After her #10 dance hit Rapture Riders in 2005, Blondie & Debbie Harry disappeared from the charts. She had guest artist gigs and toured with the band. The crime thriller Cop Land (1997) starring Sylvester Stallone, Harvey Keitel, Ray Liotta, Robert De Niro, Peter Berg, Janeane Garofalo, Roberrt Patrick, Michael Rapaport, Annabella Sciorra, Cathy Moriarty, and John Spencer. Deuces Wild (2002), another crime thriller with Stephen Dorff, Brad Renfro, Fairuza Balk, Norman Reedus, Drea de MAtteo, Vincent Pastore, Frankie Muniz, Balthazar Getty, Matt Dillon, and James Franco. The horror/psychological thriller Anamorph (2007), starring Willem Dafoe, Scott Speedman, James Rebhorn, Peter Stormare, and Amy Carlson. Elegy (2008 ), a romantic drama with Ben Kingsley, Penelope Cruz, Patricia Clarkson, Dennis Hopper, and Peter Sarsgaard. Blondie & Debbie Harry roared back on the music scene in 2017 to score a #1 Dance chart hit with the single Fun (2017) from her album Pollinator. From the same album, Long Time made it to #5. Below, the official Blondie music video for Fun, performed by Debbie Harry & Blondie - looking not much different than they did in 1979 when Heart of Glass was at the top of the charts - almost 40 years ago!